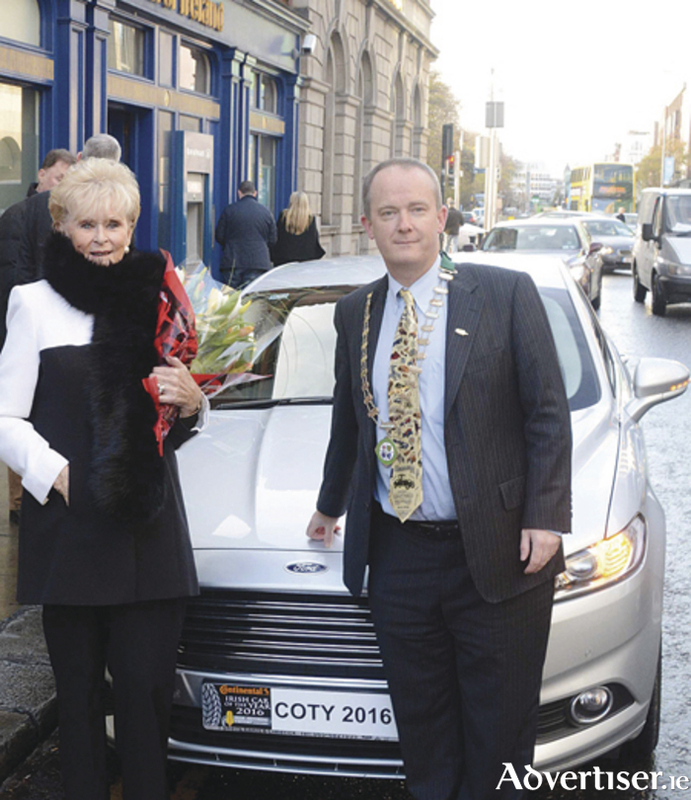 At a ceremony in Dublin recently, ex-rally driver Rosemary Smith was invited by the Irish Motoring Writers’ Association to announce the winning car in the 2016 Continental Irish Car of the Year awards. The invitation was to mark the 50th anniversary of her victory in the Tulip Rally in 1965, the only time this event has been won by a woman. Rosemary is pictured with John Galvin, chairman of the Irish Motoring Writers’ Association and the winning car - the new Ford Mondeo. The Irish Motoring Writers’ Association judges awarded points on the basis of criteria ranging from design, comfort, safety, economy, handling, and performance as well as driver satisfaction, value for money, and technical innovation, with a maximum of 20 points under each heading. John Galvin, chairman of the Irish Motoring Writers’ Association, commented: “The Irish motoring writers have selected an exciting model and no doubt the 2016 Irish Car of the Year accolade will provide a huge boost to the popularity of the Ford Mondeo in the Irish market, particularly in the context of the current competitive economic environment”. Padraic Deane’s top vote for the prestigious Continental Irish Car of the Year 2016 went to the Skoda Superb.